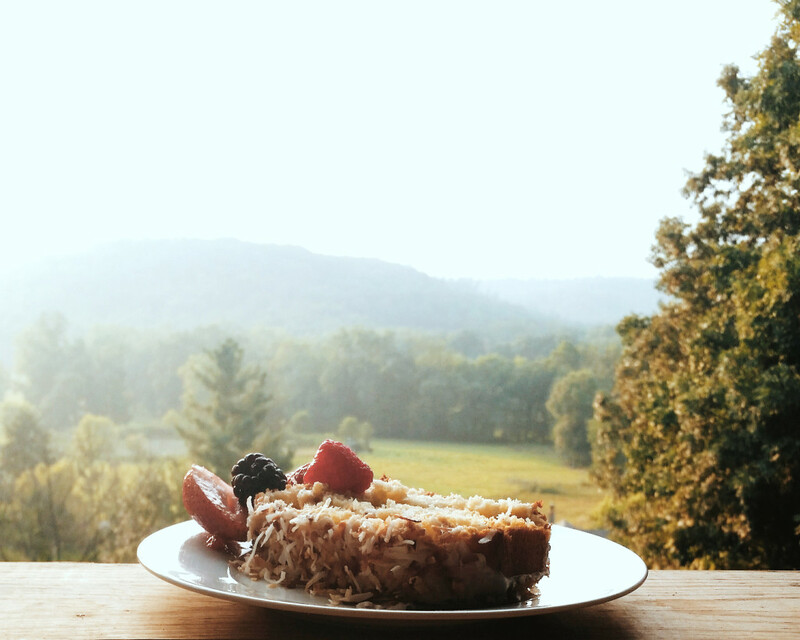 You Had Me at Coconut and Buttermilk… | All Things Ali J. So this recipe isn’t exactly as healthy/clean eating friendly as my lasts recipes have been but a girl can’t exactly be good ALL the time can she? If you are feeling a little indulgent and are in the mood for a little extra treat look no further! This recipe is by far THE best cake recipe I’ve ever found. 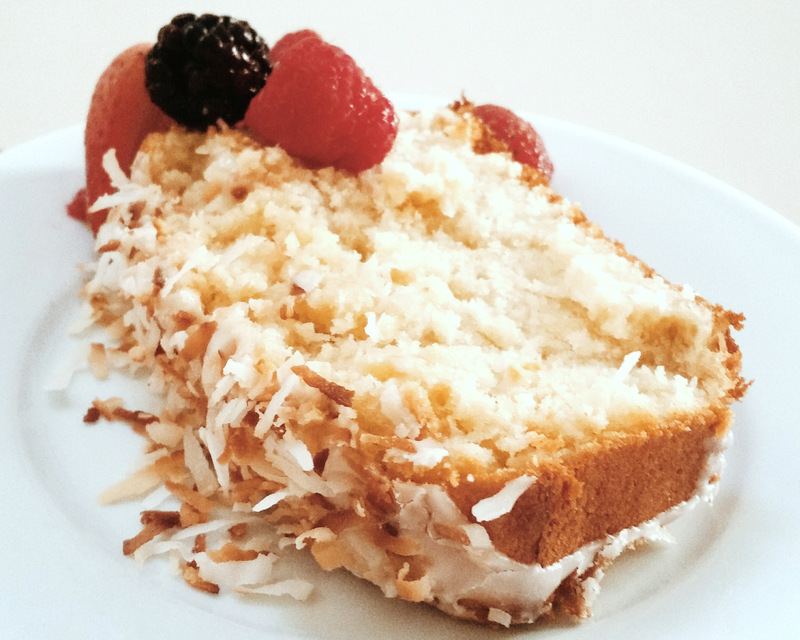 Incredibly moist and full of coconutty goodness you’ll be eating this cake for breakfast with a side of coffee! So whip out that kitchen aid, hold on to your hats, and prepared to be blown away! 2. In a medium bowl combine flour, baking powder, and salt and set aside. 3. In the bowl of a stand up mixer, add butter and sugar and beat on medium for 8 minutes (Yes, 8 minutes!) until light and fluffy. Scrape down the bowl as needed. 4. Add vanilla and coconut extract to bowl. Add the eggs one at a time and mix well, scrapping down the bowl, after each addition. 5. Set the mixer to low and add the flour mixture in 3 additions, alternating with 1/2 cup additions the buttermilk, and mix until incorporated. 6. Using a large spoon mix in 1 1/4 cups of the coconut. 7. Pour batter into prepared loaf pan and bake in preheated oven for about 60 minutes or until a skewer inserted into the center comes out with a few moist crumbs. Allow the cake to cool in the loaf pan set on a wire rack. Remove from pan and allow cake to cool completely. 1. Spread the remaining 1/4 cup of coconut in a single layer on a baking sheet. Place in a 350 degree oven for 5-10 minutes, stirring often, or until the coconut is golden. Remove from oven and cool. 2In a small bowl whisk together the powdered sugar a 1 1/2 tablespoons of the remaining buttermilk. Add addition 1/2 tablespoon of buttermilk a couple of drops at a time until you reach a nice thick pour-able consistency. 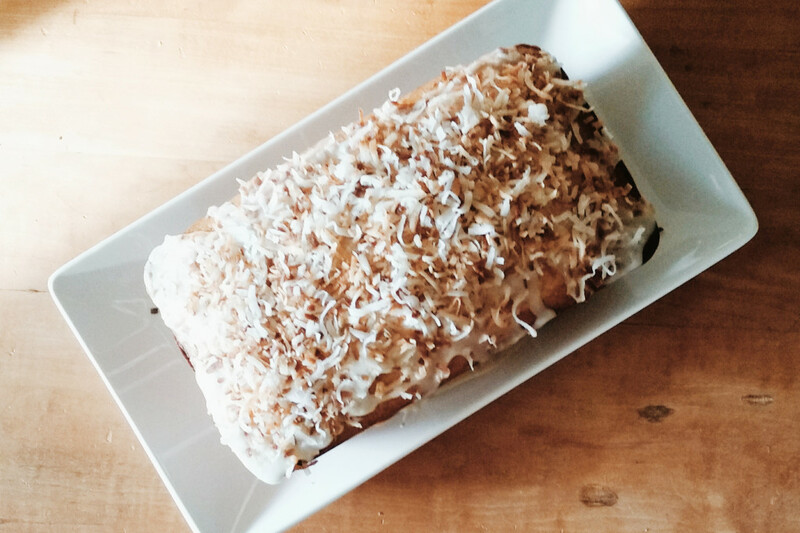 Drizzle glaze over completely cooled cake and top with toasted coconut! Serve with strawberries, raspberries, blueberries or any summer fruit you desire. A little cup of coffee sure doesn’t hurt either! I’d love to hear if you enjoyed this as much as I did. Let me know what you think! Happy eating!